With humble beginnings, Walker Tool & Die began operations in the back of a gas station in Grand Rapids, Michigan. The company dates back to 1959, when Gordon Hendricks, late father of David N. Hendricks, Walker’s current president, became one of the partners at Central Tool & Die, Walker’s predecessor. The company started with three machines, one door and no windows! With humble beginnings, Walker Tool & Die began operations in the back of a gas station in Grand Rapids, Michigan. The company dates back to 1959, when Gordon Hendricks, late father of David N. Hendricks, Walker’s current president, became one of the partners at Central Tool & Die, Walker’s predecessor. The company started with three machines, one door and no windows! Since then, the shop has moved from being a small “black hole” to a large, well-lit, highly productive manufacturer of small-to-large progressive, transfer and line dies for a variety of industries. Within a couple years of its founding, the company purchased its own building and moved to its current location at 2411 Walker Avenue NW. In 1964, the shop incorporated and changed its name to Walker Tool & Die. Not many years after that, the elder Hendricks became the sole owner and the company has stayed in the Hendricks family since. Although the original concrete block building was about the size of a small garage, Walker has expanded at least 10 times and now occupies an approximate 97,000-sq.-ft. facility, including offices. 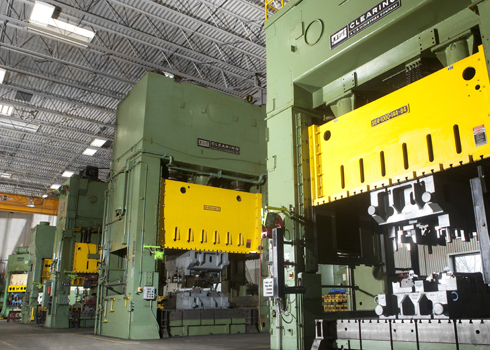 Throughout the years, Walker has continued to add and replace equipment as it has expanded and today operates an array of sophisticated machines and tryout presses. Shop machines include multiple wire EDM machines, a 6-axis laser, more than a dozen CNC machining centers, as well as other small vertical and horizontal mills, grinders, saws and miscellaneous equipment. Pressing ahead in today’s competitive manufacturing environment, Walker Tool & Die is committed to remaining at the forefront of technology and innovation and will continue to expand in an effort to offer our customers the best solutions for their tooling needs.